I made eggless Savoiardi/ Ladyfinger Biscuits, soaked them in diluted and warmed Kahlua, and made the cream part with a combuination of strained Greek yogurt, one teaspoon of icing sugar, and 1/2 cup fat free cool whip. Layered the dessert, chilled it and sprinkled with cocoa powder - and served it with herbal tea!! Absolutely delicious, guilt-free, and ever so repeatable. As I am travelling at present, I will be able to post the photograph as soon as I am back home.Well, I am back home and over the jet lag!! At least I think that I am over the jet lag :) Here's my photograph of Tiramisu. Post Script: The February 2010 Daring Bakers’ challenge was hosted by Aparna of My Diverse Kitchen and Deeba of Passionate About Baking. They chose Tiramisu as the challenge for the month. Their challenge recipe is based on recipes from The Washington Post, Cordon Bleu at Home and Baking Obsession. Thanks for stopping by!! 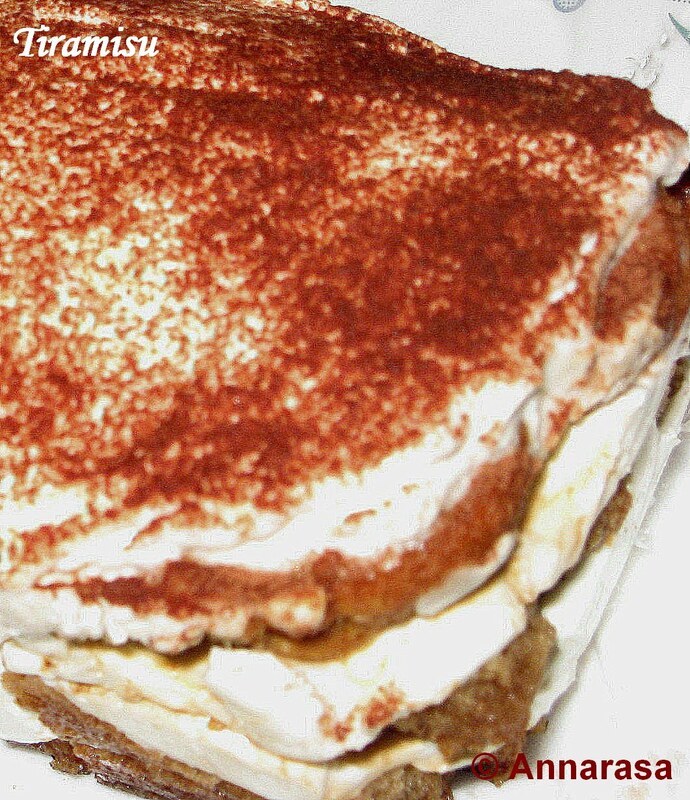 I adore the original tiramisu too!! But you'd be surprised at how delicious this version tastes. Greek yogurt is wonderful as a substitute for rich custards and creams :)Hope you will give my recipe a try! !